Our goal is to create safe, bikeable, walkable communities in Collier County. Your membership helps increase our political impact, gives voice to the needs of bicyclists and pedestrians, and supports our educational programs and advocacy campaigns. Fostering understanding of the positive effects of Complete Streets planning in terms of safety, healthy living, and economic development. NPC members are the lifeblood of the organization and those who join at the Advocacy Partner, Patron, or Angel levels, the 100+Club, are its heart. If you believe in our mission to create safe, bikeable, walkable communities in Collier County, please consider joining these passionate individuals in the 100+ Club levels. 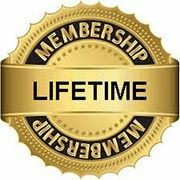 Southwest Florida Land Preservation Trust, Inc.
NPC's Lifetime members are a group unto themselves - committed to our mission and willing to offer a lifetime of financial support to sustain the work of the organization. This membership category was established in the Spring of 2016. At that time the NPC Board also elected create an Honorary Lifetime Membership to recognize individuals who make exemplary contributions over the years as donors, volunteers, and advocates.